Cleaning the floor after all the fixing works are one terrible work That too, by fixing and doing the needful things with the help of your hand is not at all an easy work. 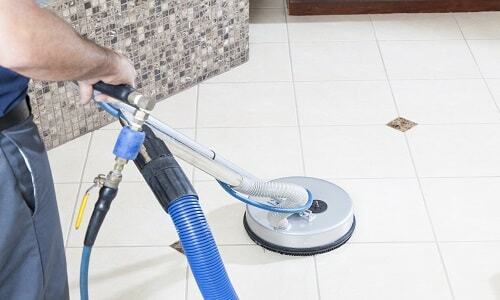 This is the main reason behind choosing the best and the easiest method, which is the Tile and Grout Cleaning process. By following this method to clean the mess, you will be able to see the changes happen. Mopping the floor will never remove the dirt completely from your floor. There will be some dirt which can not remove completely. This type of cleaning method results well in removing the hidden particles even after mopping the floor thoroughly. There are certain things which should do before starting the cleanup process, which the professionals will take care. Firstly, they will begin to examine the floor. By doing this, they will be able to proceed on to start the tidiness process. The inner beauty of the tile on the floor will remain undisturbed as this method of cleanup. Regular cleaning and mopping would not perform the complete cleaning process because they are one of the most time-consuming methods that will not even provide the perfect rug. You don’t worry about the harmful effects since A1 House Cleaning Melbourne provide you with the best service with our best cleaning equipment, which is capable of operating under little high pressure and the temperature. We, the cleaners of the Melbourne are aware of clearing all your doubts by giving a perfect finish to your floorings.